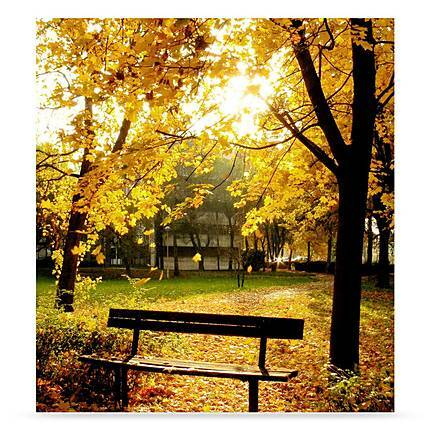 The Westcott 6x8 Ft Autumn In The Park Scenic Background is wrinkle resistant, utilizing only the highest quality fabrics, these backgrounds are literally wrinkle free right out of the package. Wash away stains. Going on location, no problem. Remove unwanted stains by simply washing backgrounds in cold on delicate cycle and tumble dry low. Printed to perfection using state-of-the-art equipment, each background is digitally printed from a high resolution file to insure precise and top-quality results. One background with multiple looks. By changing depth of field, backgrounds can be transformed into entirely new and unique looks. Grommets for easy hanging. Quickly hang backgrounds utilizing the four grommets placed in the corners of each background. Westcott backgrounds are proudly manufactured in the U.S.A.